In the last half-decade Facebook has increased the ways businesses can be discovered on their platform. Ultimately, they’re working to fill the gap between businesses and users; creating a single location for you to view baby pictures, update your relationship status, and stumble upon relevant products and services. 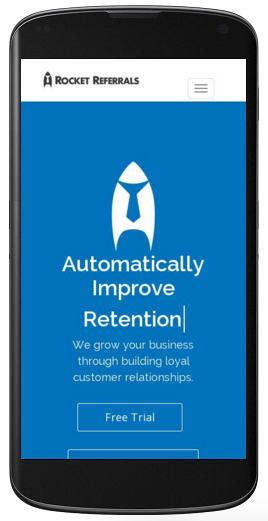 It’s easy to get setup on Facebook and with moderate effort attract relevant prospects. You know you should get a Facebook Page. After all, everyone’s doing it. But do you really know why you should be on there? 71% of adults use Facebook. Many of them on a daily basis. Hence with an effective Facebook strategy you could potentially reach a lot of quality prospects from one location. People are increasingly using Facebook to gather information about businesses they are researching online. A website alone won’t do the trick when people search for you on Facebook. Facebook is building a platform for people to search for, rate, and talk about local businesses. You want to be included in these discussions. It’s a great way to push out content and news to your clients and prospects—serving as additional touch points throughout the year. You can showcase your personality and attentiveness to clients and prospects by answering questions and addressing issues directly on your wall. People can easily recommend your business to hundreds of their friends and family by sharing your Facebook page. Learn more about the people that are expressing interest in your business with Facebook Insights. Opportunity to take advantage of Facebook’s highly targeted advertising. Effectively drive more web traffic by posting interesting content that links to your website. 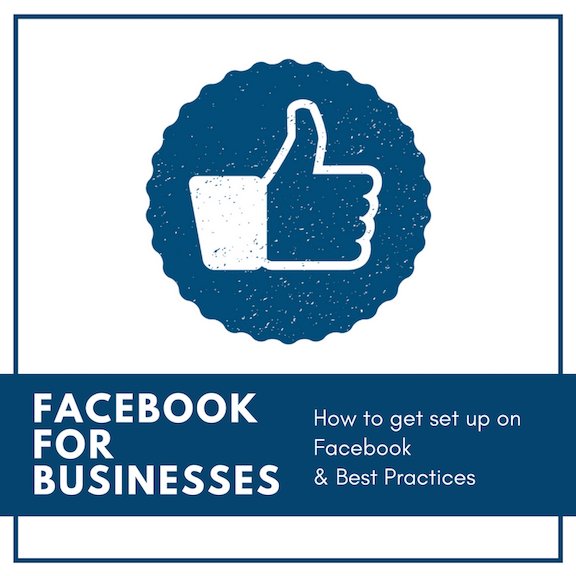 The following video will provide you with detailed instructions on getting your business on Facebook. It’s important to note that if your business operates locally and has multiple offices across the state or country you should get a separate Facebook page for each location. This will have a large impact on Local SEO and improving the relevance of your followers. Included below is a video detailing how to create a Facebook page for insurance agencies. It’s no simple task to master Facebook. After all, social media platforms are constantly changing as they both drive and adapt to societal changes. But that doesn’t mean you can’t give it the old college try. The bottom line is that simply having a Facebook page for your business isn’t enough. You’ve got to actually do something with it! Aside from setting up your page correctly, this is the most important thing to get right. Just to be clear, a Facebook post (also known as a status update), is a comment, picture, link, or other media that you post on your Facebook page. Are you trying to push users to your website where they can purchase products and services? Or perhaps you are simply trying to raise awareness of your local business to potential prospects. In either case there are some fundamentals to keep in mind when posting to your wall. Don’t post stuff just for the sake of posting. Ask yourself if your followers would be interested in what you’re sharing. Is it relevant to your business or brand? Post original content. I encourage you to create a blog on your website and write your own stuff. Be creative and consider giving it a local slant. It’s okay to mix in relevant media that you find elsewhere online, but only do so occasionally. It’s never a good idea hire outside companies to provide you with content you claim as your own. It’s often repurposed which can damage your SEO and often leave viewers feeling like you’re disconnected with the local community or industry. Keep a balance between promotionally slanted posts and those where you’re just shooting the breeze with your followers. Feature clients of yours that have success stories or have provided you with valuable testimonials. Include pictures with your posts. This will significantly increase engagement from your followers. Try to be witty. More people Like and share posts that make them giggle. This ultimately results in new people seeing your content and becoming introduced to your business. Research suggests that posts between 3-8pm will reach the most people. Although it varies based on demographics, this time period is a solid rule of thumb. Consider using a social media management system such as Hootsuite or Sprout Social to schedule future Facebook posts while keeping them consistent and organized. Make sure the material you are sharing is mobile friendly. You can use Google’s Mobile-Friendly test to see if your website passes. Frequently ask open ended questions with your posts to drive engagement. This is a great way to initiate dialog. Respond to comments that others leave on your page. Positive reinforcement will drive future interactions and make your business appear amiable. Your cover photo fills valuable real estate at the top of your Facebook page. This is a great place to capture the attention of visitors with a compelling photo. It can also serve as a lead generation tool with a call to action (CTA) button. Use this as an opportunity to send people directly to a page where they can take action, such as making a purchase, requesting a quote, or signing up for a newsletter, or contact you directly. For example, at Rocket Referrals we use the CTA button ‘Book Now’ to push visitors to a page where they can quickly sign up for a demo. For instructions on how to set up your CTA button on your cover photo read this article from Facebook. Keep an eye on how your Facebook page is performing by viewing analytics with Facebook Insights. Use this information to gauge the success of specific campaigns or posts. If you know what works you can more easily replicate it. If you are looking for a list of the people that have already Liked your page you can find this by going to Settings > People and Other Pages. There’s no better place to kindle your Facebook strategy than your own friends and family. Your Facebook business page is linked to your personal account. Therefore, you can easily ask your current Friends to Like your new page. This is the best way to jumpstart your campaign so don’t be shy. Keep in mind that the overall number of Likes you acquire isn’t what matters. It’s the quality of the people you connect with. Those that have a genuine interest in your business will more eagerly share your story. There are two things to keep in mind here to get the most out of your new Likes. Spread out your invitations over the course of a week or so. As new people Like your page Facebook uses its algorithm to decide who to share this news with. Acquiring Likes over time is a more effective way to keep a steady flow of visitors to your page. This way you can make adjustments based on what posts are resonating and with whom. Have 5 posts or so already on your business page before you begin inviting people. You want your new visitors to feel like you have an established presence on social media while giving them something to look at. Your ultimate goal is to build awareness of your business on Facebook—reaching new prospects and keeping you top of mind with clients. By default if someone Likes your page they will automatically become a follower. Yet these followers don’t do anything for you if they are not potential buyers or promoters of your business. Keep this in mind when putting together your strategy of obtaining more of a following on social media. Facebook allows you to add multiple people as editors or moderators of your business page. Consider adding your trusted staff as moderators and encourage them to share your page with their friends and family—specifically requesting additional Likes. This could considerably expand your network and reach new prospects. The most effective way of obtaining new followers is to publish original, engaging content. The more it’s shared the greater your reach. Your website and email signature should include icons for the major social media sites. Yet having the icons alone won’t drive a ton of new followers. You should be asking people to follow you. In your correspondence with your clients add a personal note (not just at the footer) that asks; “Would you mind following us on Facebook? It’ll help us discover great people like yourself that we can help!” So, inspire them to follow you and make it easy for them to do so. Unfortunately adding icons to your email signature and website takes a some technical knowhow. Although your website manager should be able to add the icons without breaking a sweat, your email signature is a little more complicated. But there are articles online to help with this. Take a look at this post to learn how to add social media icons to a Gmail account. After you get some experience writing Facebook posts you will begin to learn what is resonating with your followers. Those posts that garner the most engagement are candidates to become promoted posts. Essentially you are paying for Facebook to show your post to more people—to either your followers and their friends, or a specific targeted audience. This is called ‘boosting’ your post. Like giving it steroids. I recommend boosting posts within your existing network (followers and their friends) because it has social network theory on its side. You promote the awareness and the trust is transferred between mutual friends. Of course, this option will cost you some money. You can learn more about promoted posts here. Facebook has recently added local reviews to their platform. These reviews play an important role in determining both your credibility and the likelihood that you will be discovered on Facebook. Our experience with online reviews tells us that there are many vocal promoters willing to review businesses online. You just need to ask the right people the right way. We’ll tell you how to do this in our Online Review course. Good stuff Carl! I think it’s important to note that if you decide to create a Facebook business page, it’s a commitment. Don’t set it up and add a few posts and think you’re done. For it to be effective, you need to participate consistently, by posting new content and commenting on others’ posts.